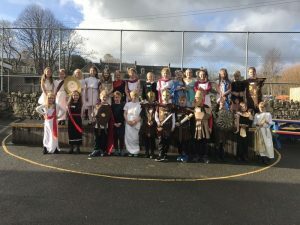 On the last day of November the Romans invaded Bosvigo with a LKS2 Roman Day. 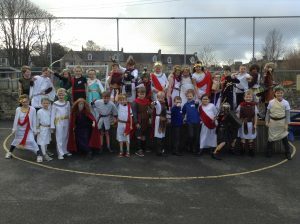 The day started as the children arrived in the playground in a variety of Roman costumes. 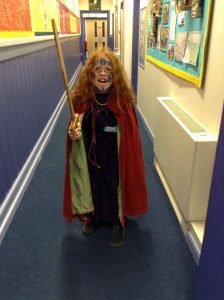 There were Celts, Julius Caesar, Roman Gods and Goddess, slaves, Gladiators…even Boudicca made an appearance! 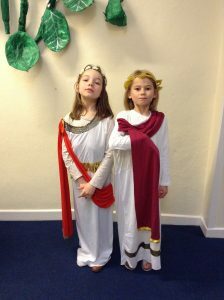 We researched and chose ancient Roman names for the day, Aurelia in class 8 chose her own name as it is already a Roman name meaning Gold. 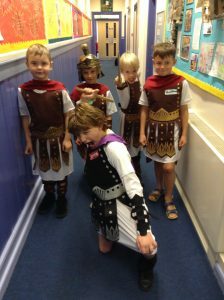 We tried to call each other by our Roman names, but some were easier to remember than others. 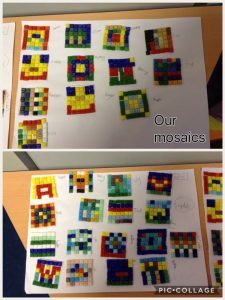 The day continued with making real glass tile Mosaics! 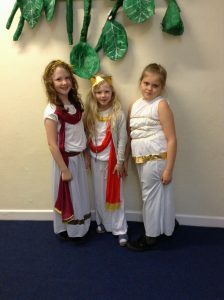 There was a variety of designs, some were Roman themed and some were modern. 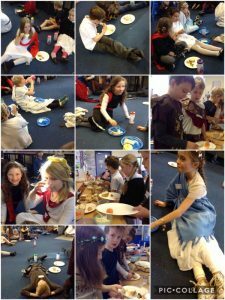 After lunch we had a Roman Feast, all the children had to lay on the floor to eat, as that is how the Romans ate. We tried olives, mozzarella, flatbreads, dates and many more authentic Roman Foods. 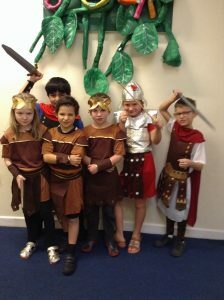 The day ended in the coliseum (playground) watching several gladiator fights! This entry was posted in Uncategorized on December 4, 2017 by bosvigo.